Taxpayers are on the hook for an estimated $48,000 spent so that the prime minister’s flight crew could sit on a tarmac during his family vacation to St. Kitts and Nevis, CTV News has learned. For security reasons, the prime minister is required to travel only on Department of National Defence aircraft. Justin Trudeau personally paid for his family’s hotel room during the 10-day vacation over the New Year’s holiday. The resort they chose rents villas for about US$2,500 per night. He also indicated he would pay back the equivalent of economy class airfare for the trip. However, the government will still have to cover the cost of the flight crew sitting on the tarmac for 218 hours. The Defence Department said the plane stayed because the aircraft always has to be ready to fly with three hours' notice. Conservative MP Andrew Scheer questioned the optics of the spending. 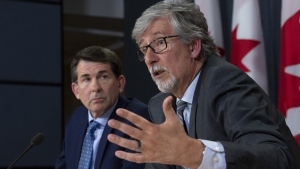 “To keep two pilots around the clock on the payroll when you're off for 10 days like that might not have been the best signal for Canadians,” he said. 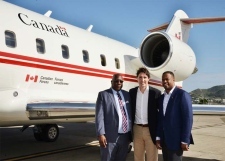 It has long been protocol for prime ministers and the governor general use military jets to travel, even for personal vacations, in order to protect their safety. Former Prime Minister Stephen Harper set a precedent by reimbursing taxpayers for the equivalent of an economy class tickets on his vacations, and Trudeau’s office has suggested he will do the same. But Harper still faced criticism for taking vacations on military aircraft that cost thousands of dollars an hour to fly. The NDP’s Charlie Angus also called out Harper for taking the trip while making billions in spending cuts. “There's two rules, there is one for Mr. Harper and his gang and one rule for everyone else,” Angus said at the time. Former Chief of Defence Staff Gen. Walter Natynczyk faced criticism that year too, after CTV News obtained documents showing he had taken more than $1 million of Challenger flights, including to NHL games and the island of St. Maarten.